Come try one of ET's famous sandwiches, listen to Nico's crazy stories, and meet Emma herself. Grab a hot dog and maybe even some nachos while you're at it too. Visit Emma's NOW! Sandwiches, wraps, fresh fruit and green salads, hot dogs, nachos, and whatever snacks you want! 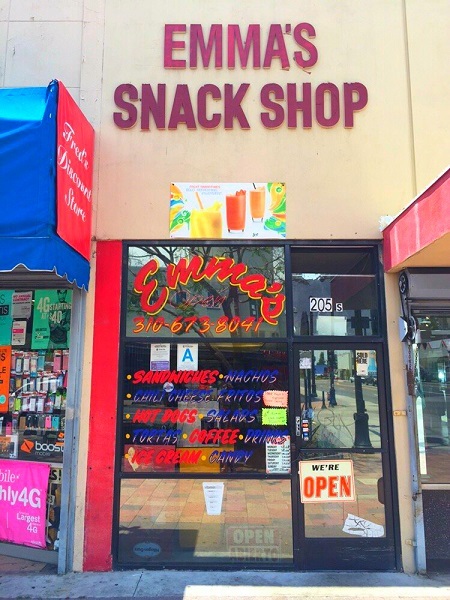 Emma's Snack Shop is located at 205 S Market St, Inglewood, CA 90301. Find your best route with the Trip Planner.